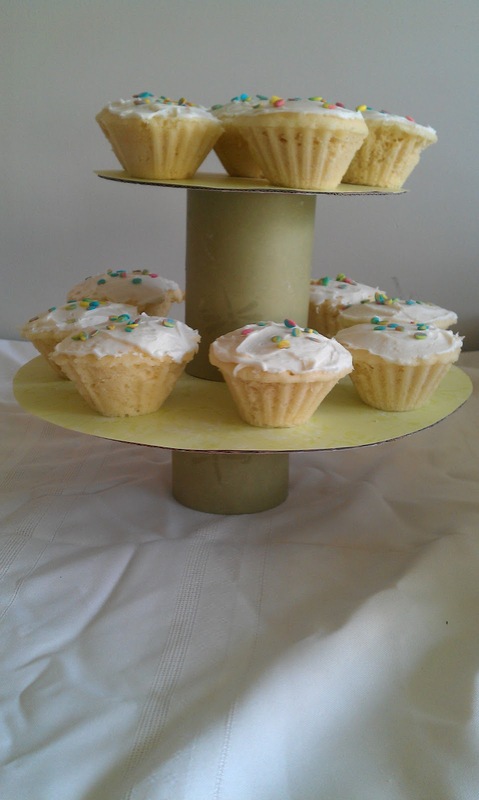 Savvy Mumma: Cupcake Tower - Make your own! I have always wanted to make a cupcake tower, but didn't have the foam or other stuff I had seen in tutorials until I came across this one. It is so easy and best of all it recycles things you already have!! Well most of it is recycled. All I did was get a dinner plate and bowl to trace around for the levels. The plate was the bottom level as it was larger. I traced around it on the cardboard and cut it out. I did the same with the pretty paper and glued it to the cardboard. With the tins I cut the paper to size and glued it on to cover them up. I put a shorter tin on the bottom, then the large cardboard layer, followed by the taller tin and the final layer. My little cupcakes were made in reusable silicone moulds, hence no patty cases. 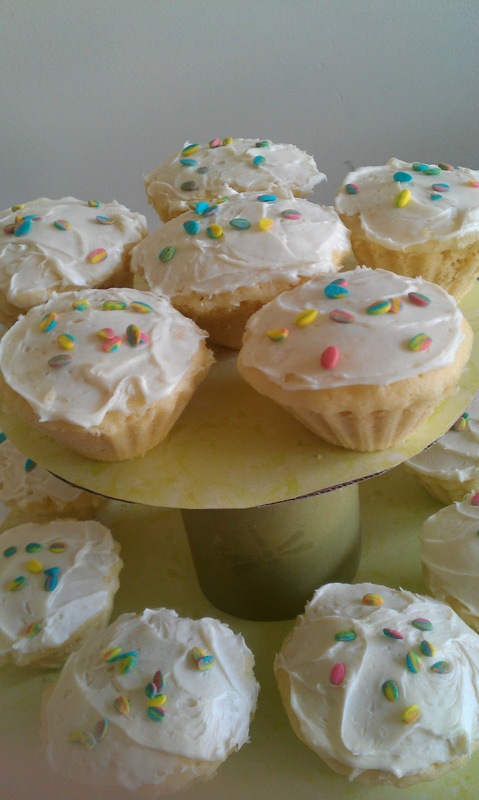 They are decorated with little icing Easter eggs. It was so quick and simple to make. You could make one for any occasion and it would be great!